The tools of the trade. Our cameras, lenses, and lighting equipment allow us to create the vision that we have created in our minds. As a professional it is important to have amazing gear to get the very best images as well as durability that they come with. We photograph with Canon cameras and we have 5 of them. You can never have enough back ups! 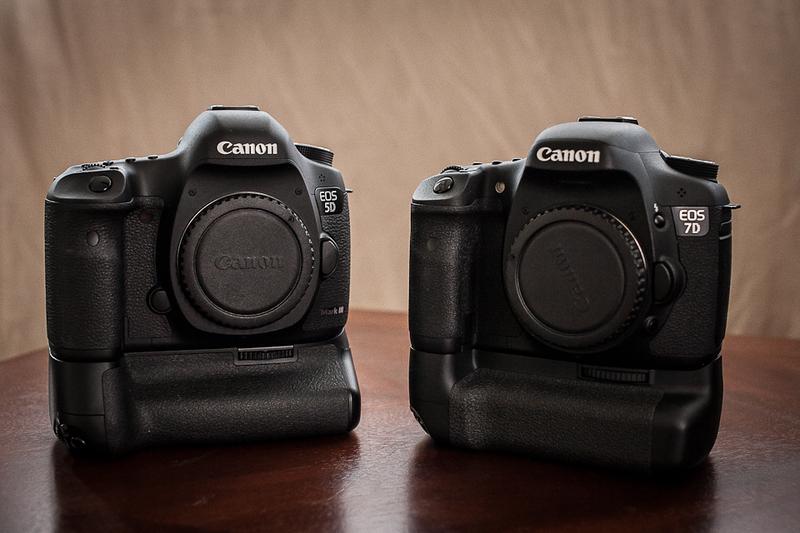 Our camera bodies include 2 full frame cameras: 5D mark III (my favorite!) and 5D mark I. Full frame cameras are important because they perform very well in low light. Full frames make photographing dances and receptions possible because these are often held in dark areas. We also have 3 crop sensor cameras which include two 60Ds and one 7D. 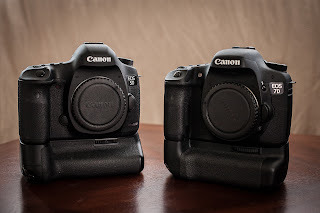 The two 60Ds are backup cameras and the 7D is used for capturing moments that happen quickly. It shoots up to 8 frames in a second! Crop sensor cameras are also able to magnify lenses 1.6 times creating a farther reach. Lenses are the most important part of the camera. 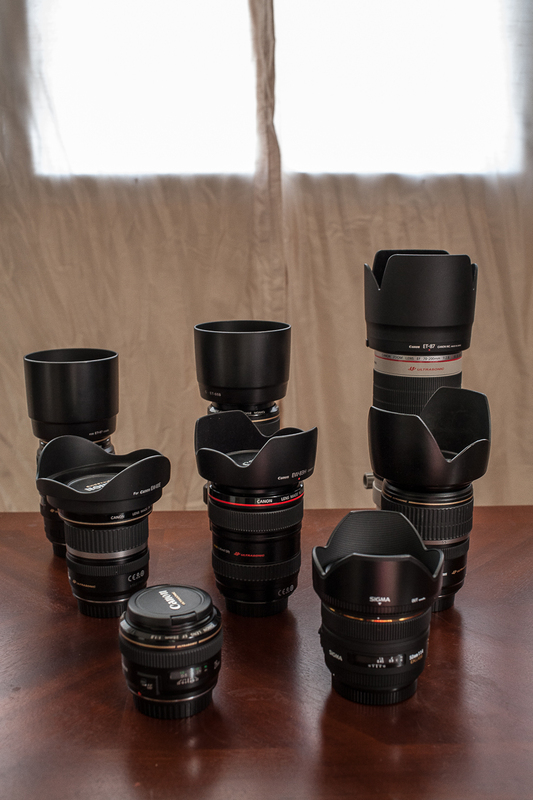 Lenses belong in several different categories to cover a wide range of field of views. 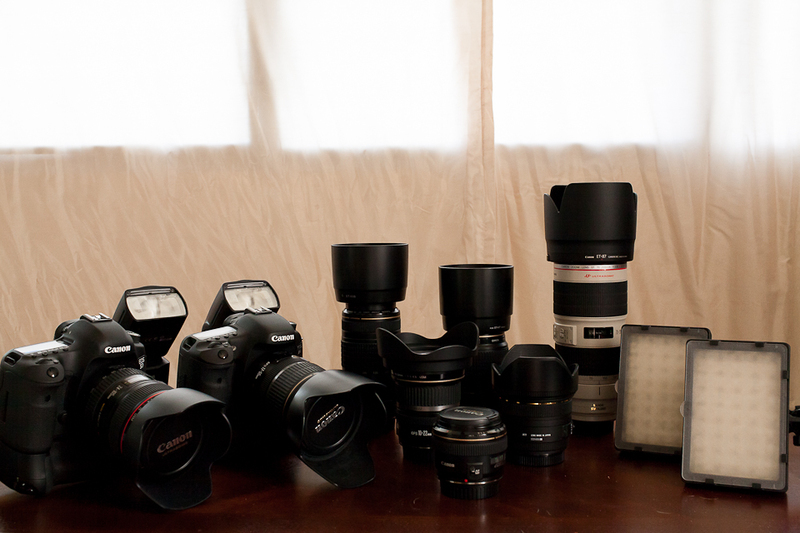 Zoom lenses are particularly useful because it does not require the photographer to change lenses. Prime lenses have a fixed focal range but often allow more light in allowing photographs in dark rooms that are often not possible with any other lens. My favorite lens is the 70-200mmL 2.8f IS. This lens produces such sharp images it hurts! The background blur or ‘bokeh’ is also so creamy it makes any background appear beautiful. 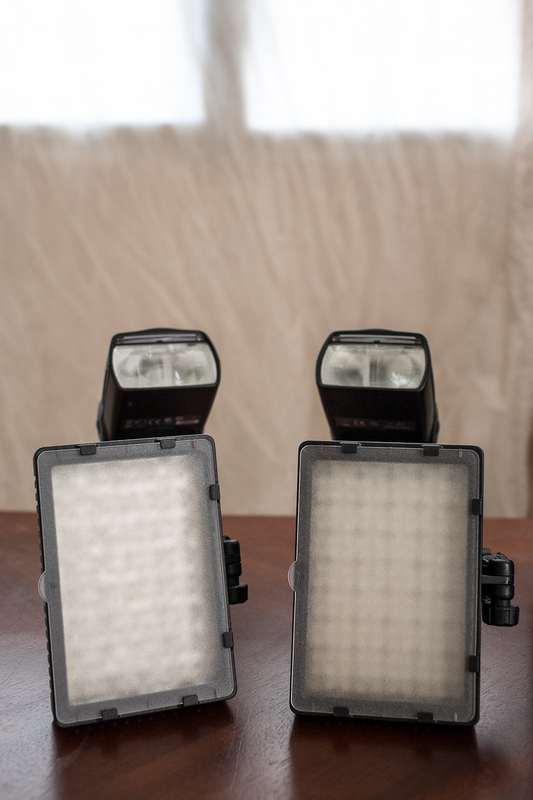 The last part of this section are light modifiers which include flashes and lights. We own 2 Canon flash units as well as two video lights. These allow us to create dramatic pictures when the sun is not available but typically, we like to use natural light because it is the most flattering on our skin.